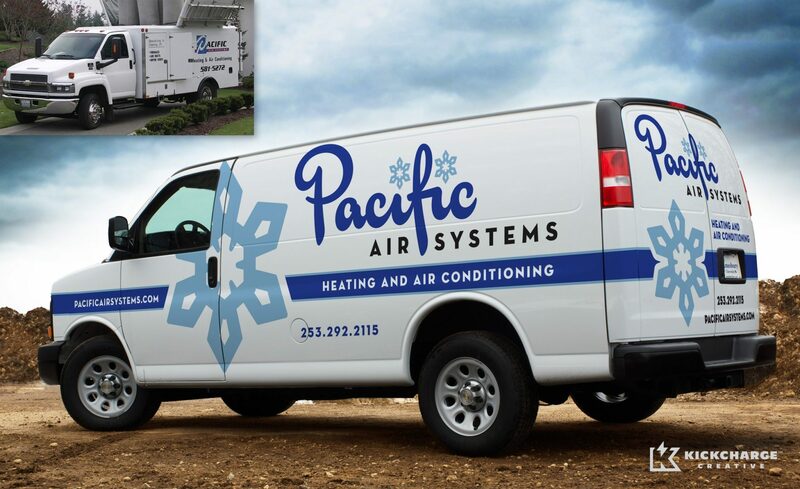 Since 1984, Pacific Air Systems has been a trusted provider for everything HVAC and related services in the Tacoma area. They have worked hard from the start to build a reputation for quality work and exceptional customer service. When Pacific Air Systems approached the KickCharge® Creative team, they were looking for a complete brand overhaul and they received just that—through a new logo and vehicle wrap design. At the start, Pacific Air Systems approached KickCharge Creative with a generic logo that was not helping them grow as a business. They needed a brand overhaul that included a fresh, easy-to-read logo and vehicle wrap. After all, the best vehicle wraps use simple colors, memorable graphics and text that can be read while the vehicle is on the move. Our design team chose a blue color scheme using both light blue and dark blue to contrast their white service vehicles. 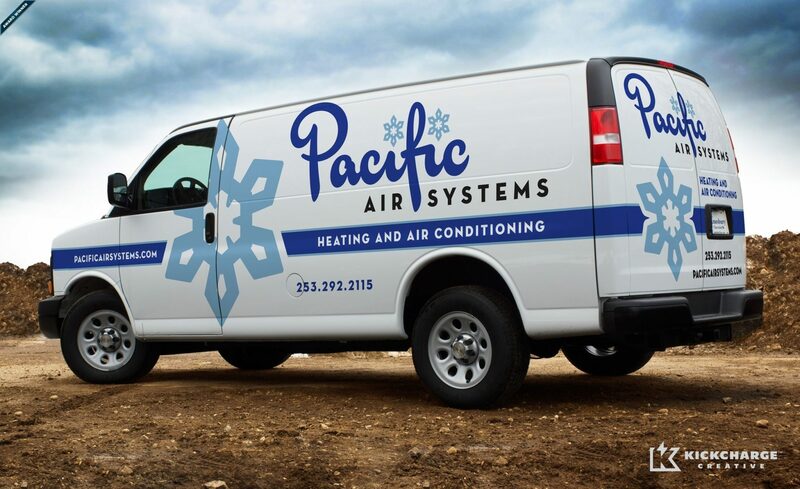 Using a unique phone number, Pacific Air tracked the effectiveness of their old vehicle wrap. Their old vehicle wrap was generating an abysmal 17 leads in a 9-month period. Using the same phone-tracking strategy—coupled with their new KickCharge Creative vehicle wrap—the company reported an 865% increase in leads over the exact same time span.